We are proud to provide a state-of-the-art facility for the highest quality dental care available. It is one of our top priorities to protect the well-being of our valued patients. For this reason, our office meets and surpasses all OSHA (Occupational Safety and Health Administration) and CDC (Center for Disease Control) standards. We strive to make every aspect of our practice, from the waiting room to the operatories and consultation room a comfortable, clean, and orderly environment. We are confident that you will feel right at home in our office as we welcome all patients as if they were family. 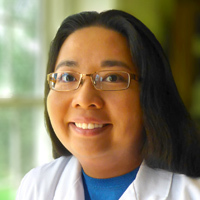 Dr. Erlinda Embuscado Jameson received her Doctorate of Dental Surgery and residency training from the University of Maryland School of Dentistry in Baltimore. During her residency, Dr. Jameson received extensive training in all phases of restorative dentistry with additional emphasis in oral surgery, root canal therapy, denture fabrication, implant placement and restoration. Her education also includes a B.S. in Biochemistry and Food Science with a minor in Psychology from Purdue University and an M.S. in Biotechnology from Johns Hopkins University. During her time there, she also served on the research staff of the Johns Hopkins Hospital working on pancreatic cancer research. 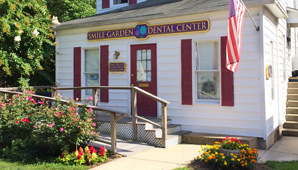 She has honed her dental craft working in Havre de Grace, Bel Air, Owings Mills, Eldersburg, and Reisterstown, serving a diverse patient pool, including special needs patients, the medically compromised, and the dental-phobic. She continues to expand her abilities through ongoing continuing education every year. Patients have told her that she has a light and gentle touch, compassionate nature, and precise attention to detail. Dr. Jameson and her husband live in Timonium with their twins Autumn and Jasper, born in 2017, and their two rescue cats, Sybee and Cleo.